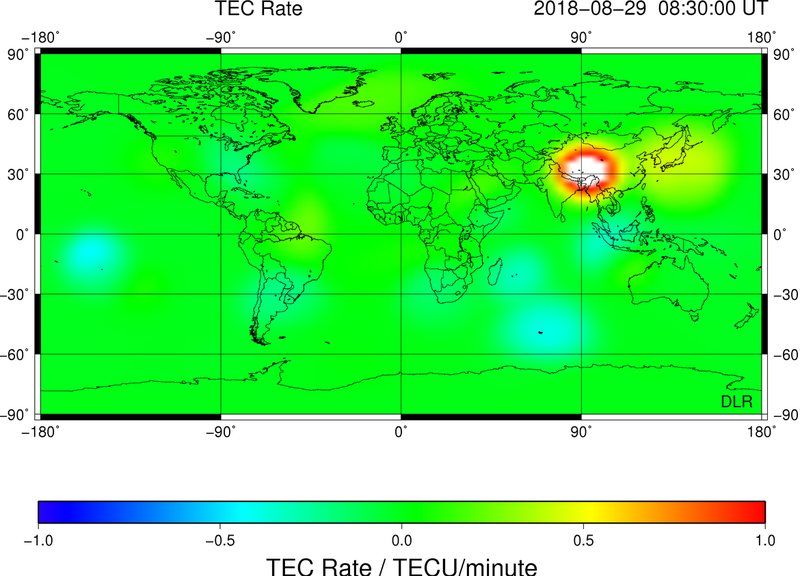 A sudden TEC Rate increase in the broad area Bangladesh, Nepal Bhutan has just been registered i.e. at 08:30 UT this morning. 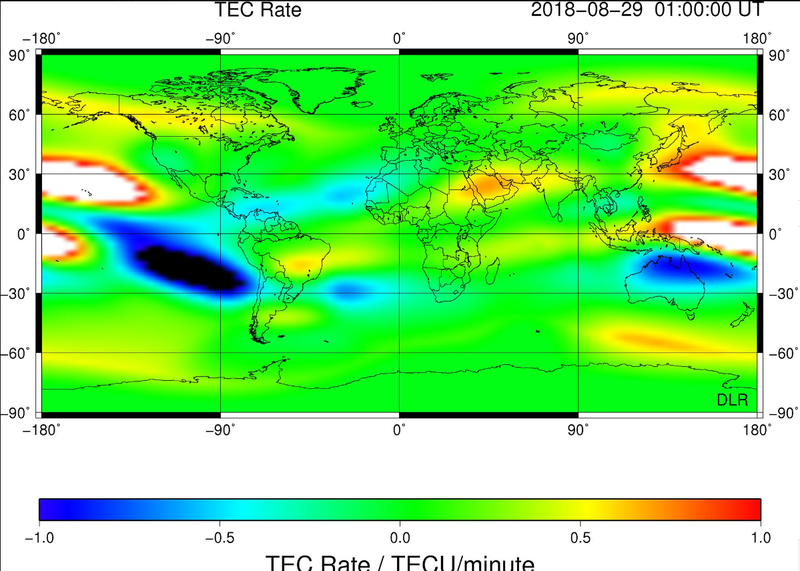 The image below is a map of the ionospheric charging at 01:00UT this morning.